Imagine flying high above the clouds over Tanzania and suddenly seeing, peering out from under her morning snowy white duvet, the summit of Mount Kilimanjaro, so close you can almost reach out to touch her. Standing only 3 degrees south of the equator, she sports a solid cladding of glacial ice. Formed about 1.5million years ago, Mt Kilimanjaro sours above the plains of the Ngorongoro like a majestic ballerina in her cotton tutu. Kilimanjaro is 5895 metres (which is close to 20,000 feet) high, and is the highest mountain in Africa. Because of this, her additional claim to fame is that she is one of the &apos;seven Summits&apos;. In addition to this, Kilimanjaro is also the tallest free-standing mountain on earth and being equatorial, one of closest points in the world to the sun. Mt Kilimanjaro is classified as a dormant volcano and comprises three separate peaks, Shira 3962m, Mawenzi at 5159m, and Kibo5895m, each formed by volcanic activity. Shira and Mawenzi are extinct but Kibo is dormant. The highest point is Uhuru Peak at the summit of Kibo crater&apos;s rim and is classified as the summit of Kilimanjaro. Mount Kilimanjaro is one of the easier mountains to climb as its summit can be reached without the use of ropes and climbing equipment. It takes on average, 6 days to climb Kilimanjaro and return to the base, but extra days can be added to take in other sights, or for acclimatisation to the altitude. Kilimanjaro can be ascended via 7 different trekking routes; Machame, Marangu, Lemosho, Umbwe, Shira, Rongai and the new, Northern Circuit, each one offering their own unique scenery and sights en-route, and each varying in difficulty. The easiest trekking tour and fastest ascent is via Marangu route followed by Rongai, but the most scenic is Machame. To further aid with acclimatisation, many people do a pre-climb of Mt Meru, Kilimanjaro&apos;s sister volcano. Mt Meru can be completed in 3 or 4 days. The Machame Route up Kilimanjaro is one of the most scenic of the routes up to Kilimanjaro, Uhuru Peak. It also affords one the chance of acclimatisation due to the concept of climb high, sleep low. The ascent is from the western side of Kilimanjaro, with the descent down the southern face along the Mweka route. 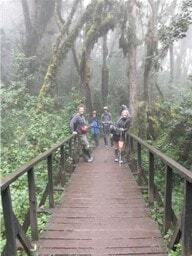 One passes through changing vegetation from a tropical forest, to scrubland, to alpine desert and onwards to the summit .You will start your trek at Machame forest and head through the lush forest, hanging with moss and lichen with its enormous forest canopy, gradually up to Machame Camp for the first night. Next day, the route heads into a scrubland with giant Lobelia and daisy bushes up toward Shira Camp before heading into the alpine desert towards Lava Tower and back down to Barranco. From here the terrain remains like an alpine desert, with glaciers reaching down the mountain like long fingers, to about 4800m. You will hit the snow line at about 5700m, maybe higher. The Marangu Kilimanjaro Route is a popular route up Kilimanjaro as it is not only the quickest route but also the most direct and often deemed, easier route. On the Marangu Route accommodation is in huts. The ascent is via the eastern face of the mountain and covers about 80km. The descent is via the same route as the ascent. The Rongai Route up Kilimanjaro is also seldom travelled, beginning on the Kenyan side of the mountain. The drive to the starting point is long, albeit scenic. Park rules require that the descent route is via the Marangu route. 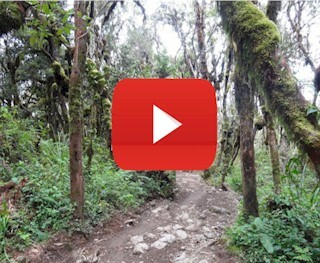 Umbwe Route on Kilimanjaro is one of the shortest and less used of all the routes. Although it is not a technical climb, it is a lot steeper and recommended for very fit hikers. Lemosho Route is often considered one of the more scenic in terms of game viewing. This is not as much the case as it was several years back when game was more abundant, although there is still the chance to see game on the first 2 days. These two days are also a lot quieter on the route, until it joins in with the standard trail from Machame and Shira routes. The Shira route, approaches Kilimanjaro&apos;s summit from the west and crosses the caldera of Shira Volcano before heading beneath the southern ice fields of Kibo. The route is seldom used by other trekkers and so your initial two days on the mountain are less crowded than on most other routes. The remainder of the route joins in with the routes from Lemosho and Machame. Your starting altitude is higher than your end point altitude. Which is the best month to Climb Kilimanjaro? Being equatorial, the temperatures from one month to the next do not vary substantially on the mountain as they do e.g. at the base. However, Tanzania does have two wet seasons. The first is the long rains which normally run from March through to May, and then a short rainy season in November, which sometimes extends into the afternoons in the early days of December. Although you can get a discount to trek in the rainy season, it is best to go when the weather is warmer and more stable as rain brings with it mud, wet conditions and of course, snow. The daytime temperatures tend to range around 32 to 38 degrees C in the forest, to anything from -2 to 6 degrees at the summit. Nights tend to range from 10 degrees down to well below freezing. Summit temperatures can drop below -20C. A general rule of thumb is that with every 200 metres in altitude climbed; the temperatures drop by a degree. Distances trekked per day will vary, between 6km&apos;s on day two, to close on 30km&apos;s on the day of your summit, dependant on which route you take. The warmest months with the clearest trekking days on Kilimanjaro, are from mid to late December, January, February, September and October. The rains often come in April and the start of May with the possibility of some snow.June through to August are superb trekking months, though evening temperatures tend to be colder. 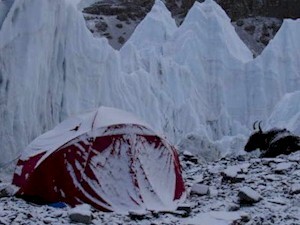 The wettest months on Kilimanjaro are November and early December, where snowfalls are likely. Note however, that as this is a mountain it is not impossible to get sporadic snow or rainfall at odd times throughout the year, although the snow normally only falls above 4800m. Is Kilimanjaro a technical climb? No it is not. Kilimanjaro is a trekking peak in that you essentially hike or trek to the top. No technical expertise is required, nor use of rope etc. There are sections on the mountain which require a scramble up rocky areas, dependant on which trekking route you follow. The shortest number of days required to climb to the summit is on a 5 day route, totally 7 by the time you have added on arrival and departure day. However, it is not advisable to do it over 5 as the ascent is very quick and the overall success rate, low. It is better to do the trek over a minimum of 6 or 7 days to increase your changes of success. Although Kilimanjaro is classified as a &apos;trek,&apos; it has a very fast altitude gain. It requires physical fitness and stamina and most importantly, mental fitness. Your legs will get you up the first 4-5 days but for your summit night, it is often mentals trength that will get you to the top - (assuming of course that you are not affected by altitude, sickness or pure fatigue). A good exercise and training program is essential. The climb should not be undertaken lightly, after all, why spend the money if you are not willing to prepare yourself physically as well? This really depends on the operator you travel through. The parks Kilimanjaro Park authorities do not ask for any medical information on the climbers when permits are purchased. Some operators request the clients complete a medical form, others do not. We require that all of our clients complete a medical form and based on the answers, we may request a letter from your medical practitioner. People suffering with conditions such as severe asthma e.g. should not climb. Regardless, anyone attempting the climb, or any climb for that matter, should ensure that they are medically fit, and convey any medical conditions to the operator they book with. Kilimanjaro climbing and the altitude? This is one of the most often asked questions - "how will I cope with the altitude". To be honest, this is an &apos;unknown&apos; factor as no-one can predict how your body will cope at altitude. 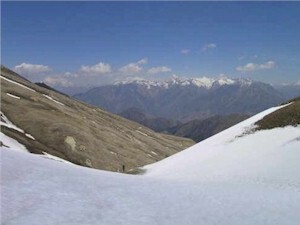 People who have been to altitude many times in the past without problems, may on one climb suddenly develop problems. There are many factors that play a role. The only way to help combat this, is to take all of the necessary precautions, and walk slowly, pole pole. Choosing a route like	Machame where you get to follow the principle of "climb high, sleep low" is also advisable. What gear do I need on Kilimanjaro? There are certain essentials that are needed for most climbs and Kilimanjaro is no different.The best way to draw up your list is from the base up, i.e. thermal underwear, then hands and feet (gloves, socks etc). Then boots which must be waterproof with good ankle support, trekking pants, trekking tops, short and long sleeve, thermal jacket, outer shell jacket which likewise is windproof and water proof, hat, scarf, beanie, balaclava. Then consider sleeping, i.e. sleeping bag, mat etc. Most companies supply sleeping mats so check before you buy one. Then, the last items to add are personal items like toiletries, camera, medicines, water bottle, backpack, camera etc. Most companies will supply you with a comprehensive list for your trek, as do we. If you arrive to Kilimanjaro and are missing items, you can normally rent most gear. Do not, however, reply on buying your gear on arrival. What happens if I have to turn back? Unfortunately this is something every trekker has to consider.Anything from a stomach bug to altitude sickness can quickly stop a trekker in their tracks. If you are ill and need to turn back or even too tired to continue, a porter will walk off the mountain with you and your gear. If you are too sick to walk, then part of your fee includes evacuation by teams already on the mountain and employed by the Parks authorities. 3) Sprains strains and physiotherapy - yes, many insurers exclude this, though ironically, this is what you will most likely need cover for. 4) personal accident - this is the horrible part of insurance. Yes, you need to be covered in the case of death. We are often told by clients - "if anything happens to me, just leave me there." It is not that simply. Bodies need to be brought home or laid to rest overseas, and this can run into thousands of dollars, creating a huge burden on family members. What are the routes on Kilimanjaro and how do I choose one? There are 7 summit routes; namely, Marangu, Rongai, Lemosho, Shira, Umbwe and Machame. Of all the routes, Machame is by far the most scenic albeit steeper route up the mountain. The Rongai is the easiest camping route and the Marangu is also easier but accommodation is in huts. As a result, this route tends to be very busy and ascent and descent routes are the same. Both of the latter have lower prospects to acclimatise by the climb high sleep low principle unless one adds on extra days. The Northern Circuit, approaches Kibo from the west, crossing the caldera of Shira Volcano before turning north to follow the trail through Moir Valley and around the northern side of Kilimanjaro. For a detailed look at the different routes, read this article on Kilimanjaro Trekking Routes. 3) Kilimanjaro: To the Roof of Africa by Audrey Salkeld. Two nights accommodation in Moshi on a bed and breakfast, twin / triple share basis.